Mahiki Kensington is the new club and restaurant open in Chelsea from November 2017. 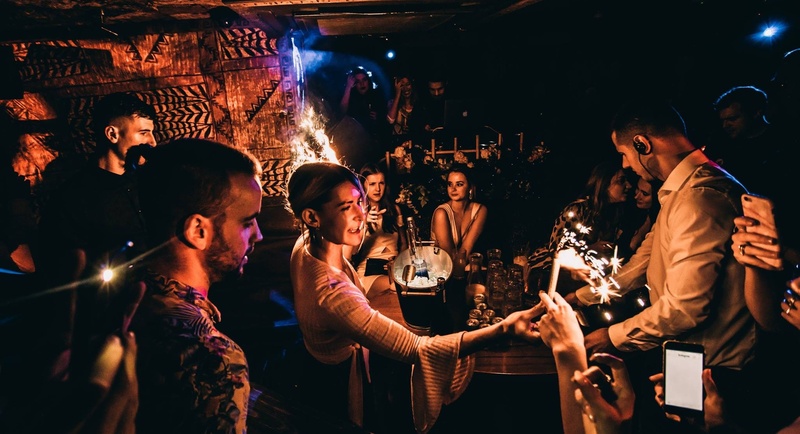 The pioneers of Kensington & Chelsea nightlife, Carlo Carello, Jake Parkinson-Smith and Fraser Carruthers, have teamed up with Mahiki`s founders Piers Adam and David Phelps to build up the new concept. (read Evening Standard article to know more). The aim is to bring to customers a more grown up “all-day” version of Mahiki. The new Mahiki`s home is Kensington High Street. It is going to take place of “schnapps and schnitzel” Alpine lodge-themed Bodo’s Schloss. The former club closed in summer 2017. Mahiki Kensington has a fish restaurant, Pupperfish, a cocktail bar and also a private dining room. The new club theme follows the lines we know about Mahiki. Tropical Polynesian vibe & décor and the exotic drinks menu are still the main theme. In addition, most of the bar & menu features will be the same or restyled. Do no worry guys, the infamous chest of treasure, hand carved ice sculptures and “Tiki mugs” will stay! Pufferfish at Mahiki Kensington is an Asian diner which will embrace you to a Polynesian world. It has space for 150 diners. Menu will be pan-Asian dishes of exotic Asian delicacies. This includes sushi hand seared tableside with a blowtorch. Tuna tartare, salmon with truffle oil and ponzu will be the most notorious dishes. Stepping inside the club, the theme continues with a large fish tank. The dance floor glitterball resembles the notorious inflatable marine creatures. Furthermore, a great initiative is that you can donate £1 contribution to a charity. This society aims to protect endangered species of Pufferfish. If you want to taste the new Mahiki` concept, book on our Mahiki Kensington guestlist. Hence, please use the form on the right to be on our Mahiki Kensington Guestlist. Hosting days at Mahiki Kensington. Pupperfish opens from 12pm. 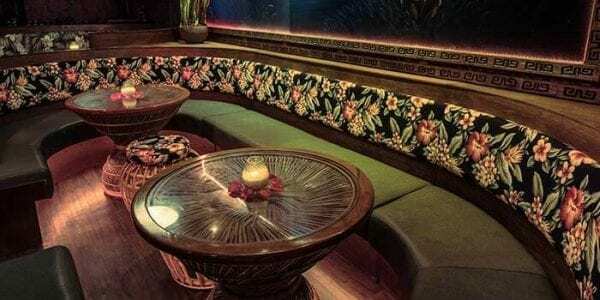 The Mahiki Kensington nightclub starts from 10pm until 3am. We do not have so much info at the moment. Hence, stay tuned here for more updates about our regular hosting nights. The new venue opened the first week of November 2017 with a great success. Therefore, please contact us if you want to receive update about Mahiki Kensington guestlist or table booking. To book your VIP table, please use our table booking page. What we think about Mahiki Kensington. 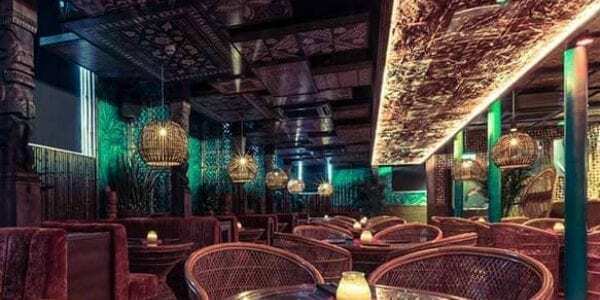 Mahiki Kensington will be the ultimate party destination. Due to the mix of the iconic Mahiki brand and the team behind it, the venue is set to be an unique icon in Chelsea. Since its opening, the new Mahiki, will crate immense noise. Hence, we can just wait to see long queue outside the venue and celebrities walking in. Due to the large volume of people supposed to join the club. We suggest therefore to book your Mahiki Kensington Guestlist in advance. Celebrities have alreay been spotted for the opening week like Binky Felstead.